Spotted this road sign with I was in Memphis en route to Tupelo. 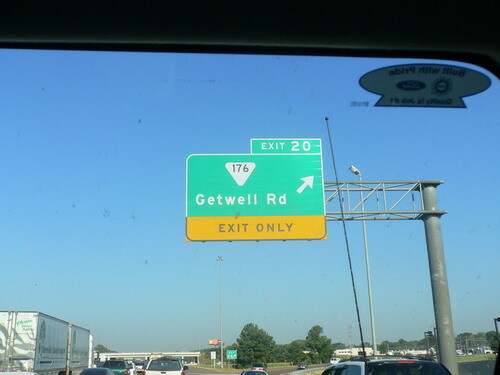 Looks like a road for all sick people to exit? I wondered if there is a DropDead Street on the other side of highway? sunflower: I will keep a lookout for you. Won't be surprised if they have. Chocolate: This is where I disagree. I think virgins of either gender is socially acceptable. There is absolutely nothing wrong with staying a virgin. i'm sure america is full of weird street names. in fact, there are stories about travelling on them, ie. American Gods by Gaiman. Maybe i phrase it wrongly, what i mean is some men don't want ppl to label them as virgins.. They will feel malu and all..
Chocolate: I know what you mean but I still think there is nothing malu-ating (is there such a word?) about being a virgin. It is a choice of the individual. We must learn to respect it. Being a virgin doesn't mean you are a lesser person than the next guy who is not.